In terms of quantity, 2016 saw about as many rock history books as there have been in recent years. In terms of quality, I think there was a significant though not huge dip. There wasn’t a problem filling out this Top Ten list to ten books, but there weren’t many other serious contenders I was tempted to list, though I did read or try to read quite a few others. Generally, the trend toward niche or special interest books that would have been unimaginable a couple decades (or even a decade) ago continues. So does the trend toward rock memoirs, including some by big and small names that did not make this list. There are also a couple 2015 releases I put at the end that I did not read in time to include on my 2015 list, and no doubt there will be some 2016 books I’ll read over the coming year that I’ll put on my list next year. 1. Small Town Talk, by Barney Hoskyns (Da Capo). In rock lore, Woodstock (the small New York town, not the festival) is primarily known as the base for Bob Dylan and the Band in the late 1960s. Since that time, however, it’s also been a long-term or temporary (sometimes very temporary) base for artists like Van Morrison, Janis Joplin, Jimi Hendrix, Happy Traum, Maria & Geoff Muldaur, Paul Butterfield, Todd Rundgren, and numerous others. 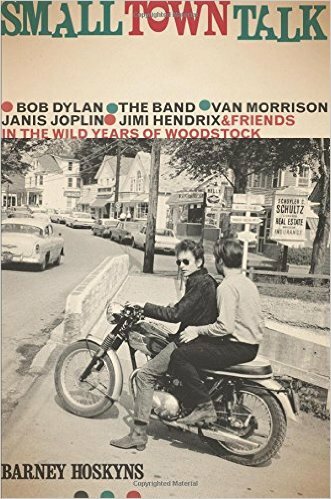 This is a thorough and satisfying account of what drew musicians to the area and what they did (which wasn’t always purely musical) there, by an author who knows the scene well, having done the best Band biography. Hoskyns draws from a lot of his research for that book (Across the Great Divide: The Band and America), but also talked to many other people, and deserves some sort of award for having interviewed the notoriously non-author-friendly Van Morrison specifically about his time in the region. A draw for its peculiar brand of pastoral hedonism, ultimately the Woodstock area just wasn’t big enough to keep producing enough music to establish itself as a permanent hip music mecca. Nor could it thrive as much after the mid-1980s death of Albert Grossman, who as manager and force behind the Bearsville label and studio did far more than anyone else to fund whatever scene was happening. There were enough interesting, sometimes wild times along the way, however (mostly between the mid-1960s and mid-1970s), to make for a worthwhile, substantial book. 2. 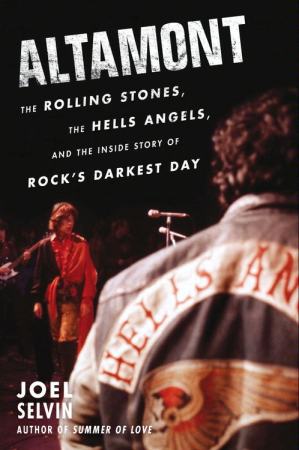 Altamont: The Rolling Stones, The Hells Angels, And the Inside Story of Rock’s Darkest Day, by Joel Selvin (Dey St.). Like some other books of Selvin’s, this does not use the usual format of quoting from interviews, instead telling the story as a narrative, though drawing from extensive research. This is not my favorite approach, but in this case it works pretty well. Crucially, Selvin did draw from a lot of first-hand research for this examination of the Altamont festival, including more than one hundred interviews. Among them were people who had seldom or never given their accounts of what happened at the turbulent concert, including the girlfriend of Meredith Hunter (the boy in the audience who was murdered), law enforcement officials, concertgoers, and camera operators for the Gimme Shelter movie (which was partially filmed at Altamont). Some famous musicians who played there were consulted too, including members of Jefferson Airplane, Santana, and the Grateful Dead (though none of the Rolling Stones). What emerges is a tale of a good, or at least admirably utopian, idea that was altered and grew out of control, to the point that no one was really in charge of staging and supervising the event, and no one eager to be accountable for its negative consequences. The Rolling Stones do not come off well here, one of the factors contributing to the festival getting staged in Altamont being their unwillingness to give up some of the profits to the owners of a better alternative site (Sears Point Raceway in Sonoma County). Selvin doesn’t let this cloud his assessment of the music the Stones played at Altamont (a sixteen-track recording of which he was able to hear), which he judges as phenomenal despite the dire circumstances in which it was performed. 3. 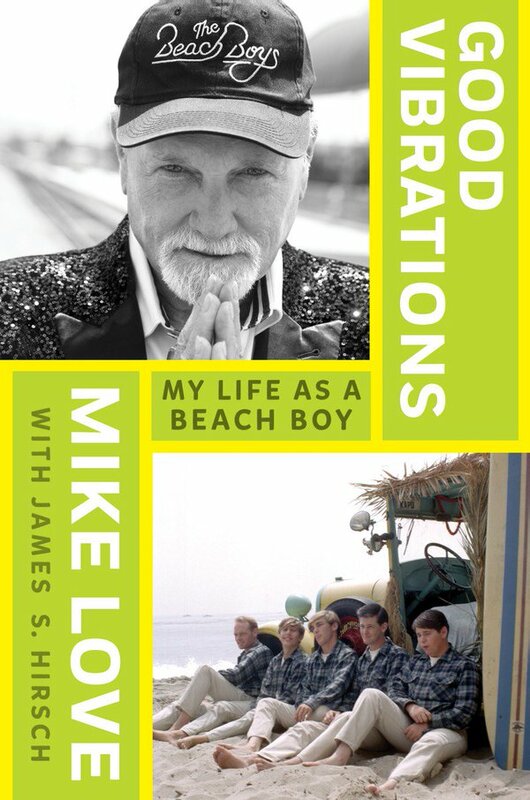 Good Vibrations: My Life As a Beach Boy, by Mike Love with James S. Hirsch (Blue Rider Press). Only a month before Brian Wilson’s memoir (see entry lower on this list), the Beach Boys’ lead singer came out with his. They couldn’t help but be compared in the press, especially as Love has often been accused by devoted fans and harsh critics of hindering the band’s artistic evolution, and specifically of blocking SMiLE by objecting to its experimentalism. At times his book reads like a defense to such charges. But more often it’s a quite detailed account of the band’s odyssey through garage surf music and classic orchestrated pop-rock to transcendental meditation, which Love embraced with a fervor far greater than the other Beach Boys (and possibly than any other rock star). Whatever your feelings toward Love—and he’s one of the most unpopular rock stars, at least among a band’s core fanbase—there’s a tremendous amount of info here, from the band’s crude beginnings through their infighting long past their prime (with passages actually quoting from court documents and taped conversations). The tensions within the band (especially between Love and Dennis Wilson) are not ignored, and considerable space is devoted to Mike’s struggles to win songwriting credits for many 1960s Beach Boys songs he recalls (in great detail) helping compose. Yes, their brush with Charles Manson is covered too. So, however, are insights into the making of their classic ‘60s recordings (and their not-so-classic subsequent ones). 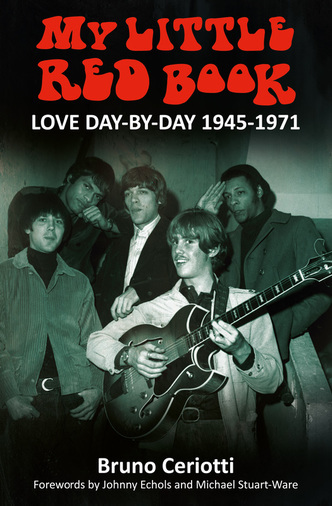 The latter sections, much of which are devoted to Love’s publishing battles and his long (still-running) stewardship of the band as they changed into an oldies act, are inevitably far less interesting than the first half or so of the book. 4. 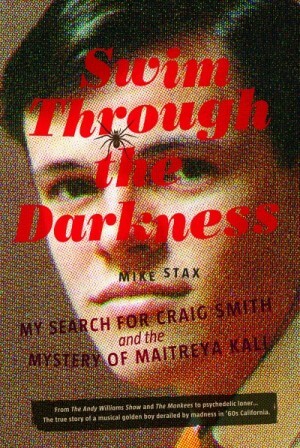 Swim Through the Darkness: My Search for Craig Smith and the Mystery of Maitreya Kali, by Mike Stax (Process Media). You haven’t heard of Craig Smith? Most people haven’t, even among ‘60s/’70s rock obsessives. But in addition to writing and singing some idiosyncratic, high-quality folk-rock that barely got heard in the late ‘60s and early ‘70s, Smith’s story was like few others, his frustrating near-misses at success followed by a descent into gruesome madness and homelessness. Swim Through the Darkness is an amazingly thorough portrait of an All-American guy who seemed to have everything going for him, only to have it all go south. Like many artists who lacked a few good breaks or obvious hit songs to make a splash, Smith met and worked with plenty of famous stars on his road to oblivion. His journey, however, was yet more unusual than most, starting with his transition from squeaky-clean Andy Williams backup musician to the Mike Nesmith-produced band the Penny Arkade. When that group failed to find a record deal, he left for the Hippie Trail, where a mysterious incident in which he was likely beaten up and worse permanently changed him. When he returned from Asia at the end of the 1960s, he’d descended into madness, self-pressing strange but enticing acid folk LPs before doing jail time for assaulting his mother and drifting through decades of homelessness. Mike Stax, noted as the longtime editor/publisher of the top ‘60s rock magazine Ugly Things, unearthed a startling (and oft-disturbing) wealth of info considering Smith’s records were largely unreleased or unheard, though Craig crossed paths with everyone from the Monkees to Manson (and Brian Wilson and Mike Love, for that matter). Besides finding and talking to many of his friends and associates, he unearthed police records and even helped arrange for a proper curatorship of Smith’s ashes. Smith’s tale is the dark side of the Hollywood dream that the likes of the Beach Boys and Monkees rode to worldwide fame, but left nearly-as-talented musicians like Smith (who died in his sleeping bag in North Hollywood Park in 2012) on the literal street. Stax not only tells his saga like a good detective story, but also makes us care about the music and the man. Torrence remembers the pair’s late-‘50s beginnings as gawky high school students recording in Jan Berry’s garage, as well as their mid-‘60s prime as hitmakers and hosts of the legendary concert movie The T.A.M.I. Show. One’s struck by how much easier, in some ways, teenagers could get themselves into the music business in the early days of Los Angeles rock. It wasn’t as innocent as it sometimes seemed. Berry made sure their debut single “Baby Talk” was a hit by shoplifting copies from an L.A. store that was surveyed for the charts. And, of course, everything got gravely serious when Berry suffered brain damage in a 1966 car crash. It’s unfortunate Torrence’s book doesn’t discuss their obscure post-accident late-‘60s recordings, though the part on his subsequent reinvention as a noted graphic artist (often for rock LPs) is interesting. It’s also too bad that his revival of a Jan & Dean touring act, clouded by his attempts to keep an addled and substance-abusing Berry in line, end this book on a more somber vibe. What’s here is, however, like Jan & Dean’s music, pretty fun, if not nearly as deep as the Beach Boys’ best records. Also out in 2016, by the way, is the very detailed (and very expensive) The Jan & Dean Record: A Chronology of Studio Sessions, Live Performances and Chart Positions. Like Becoming the Beach Boys: 1961-1963 (see note at end of next listing), it’s too detailed and at times too dry to find a place on this list. 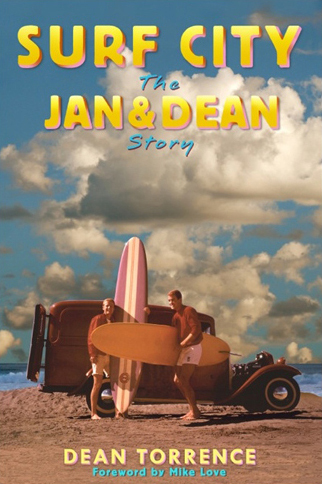 But it does have a lot of raw information of great interest to Jan & Dean fanatics, though those are much less numerous than Beach Boys fanatics. 6. 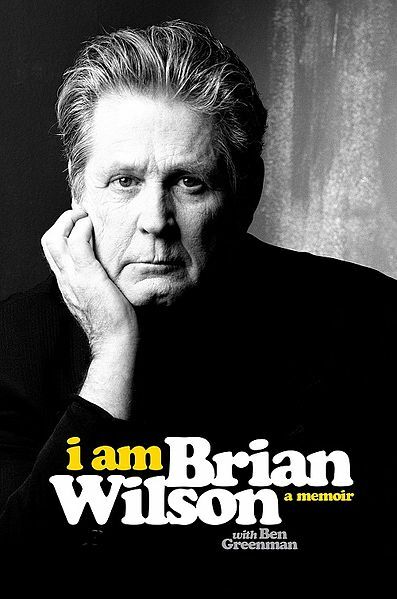 I Am Brian Wilson: A Memoir, by Brian Wilson with Ben Greenman (Da Capo). Wilson is one of rock’s more complex and enigmatic personalities, but even going into this memoir with full knowledge of that, I find it hard to know what to make of it. If you prefer memoirs to have a linear beginning-to-end chronology (I do) and are a little annoyed by most that go back and forth all over the place (I am), it’s frustrating that this book falls firmly in the latter camp. Somehow over the course of about 300 pages, it does cover most of his and the Beach Boys’ albums, most of their famous songs (and many of their un-famous/infamous ones, even down to the Mount Vernon and Fairway bonus EP with the Holland album), and many of his major problems with his father, family, manipulative psychiatrist-of-sorts Eugene Landy, and mental illness. It’s highly readable and, at least for those who haven’t scoured other sources of details about the Beach Boys’ career, informative. 7. 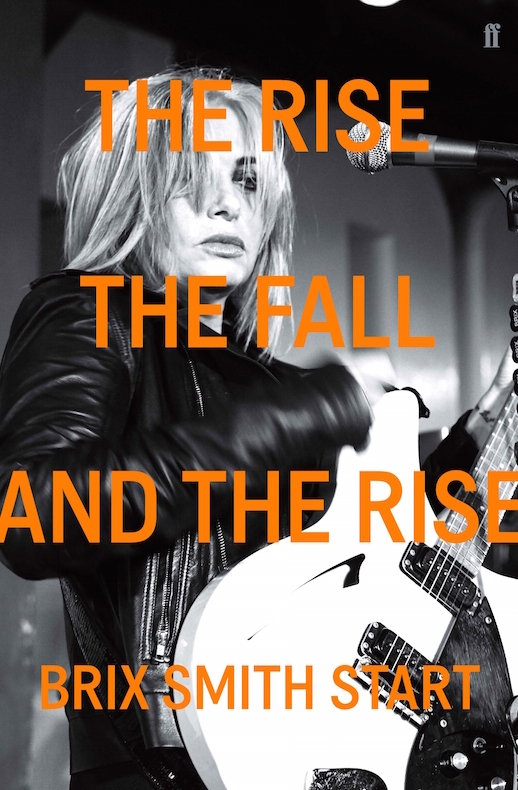 The Rise, The Fall, And the Rise, by Brix Smith Start (Faber & Faber). I’ll be honest here: I hate the Fall. There, I’ve just lost at least a dozen readers already. But although I’m not part of the long-lived British punk band’s considerable cult, their history—as part of the UK punk movement and, after the early ‘80s, the general alternative rock scene—is pretty interesting. So is the life of Brix Smith (now known as Brix Smith Start), who was both a guitarist in the band and married to main Fall singer-songwriter Mark E. Smith for much of the 1980s (and returned to the band for a while in the ‘90s after their marriage ended). One testament of a good memoir is that it keeps your attention even if you’re not a fan of the artist’s music. So it is, for the most part, with The Rise, The Fall, And the Rise, which actually is only about half devoted to Smith’s life in the Fall. The story doesn’t end with Smith’s departure from the band (and marriage) in the late 1980s. The see-saw continued with a volatile relationship with top classical musician Nigel Kennedy; struggles with depression and, for a while, waitressing upon her return to L.A.; and, most unbelievably, a return to the Fall for several years. I could have done without the lengthy section near the end on the success of her and her current husband’s London fashion shop, and there should be a rule against extended passages describing memoirist’s dreams (of which there are a few). Probably some other such material was cut from the manuscript, which according to the acknowledgments was reduced nearly in half from its original size. What’s here is usually quite penetrating and occasionally gripping, although when she calls Mark E. Smith on an impulse several years after leaving their marriage and then impulsively rejoins the Fall, I had to think to myself, “This is one reunion that isn’t going to end well.” And it didn’t. 8. 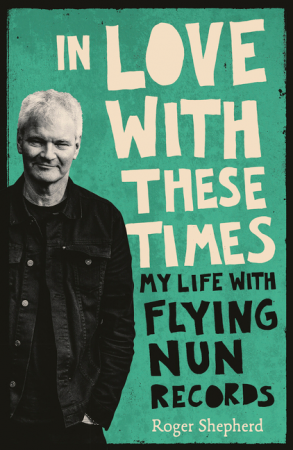 In Love with These Times: My Life with Flying Nun Records, by Roger Shepherd (HarperCollins). In the early 1980s, record store manager Roger Shepherd founded Flying Nun Records, the most well known New Zealand indie rock label. His memoir focuses on its heyday in the 1980s and (to a lesser extent) 1990, when it issued releases by the lion’s share of the most highly regarded New Zealand alternative rock bands, including the Chills, the Clean, the Verlaines, and Chris Knox and the Tall Dwarfs. Even by late twentieth-century indie rock standards, Flying Nun was a seat-of-the-pants operation, Shepherd learning the business as he went along, often without contracts or adherence to standard practices (which backfired on him when Flying Nun issued a live Fall album that Fall singer Mark E. Smith objected to). By the late 1990s he’d been ousted from his own label, though he bought it back from Warner Music about a decade later. There’s plenty of information about the bands in the preceding paragraph if you want it, as well as stories about plenty more obscure acts like Look Blue Go Purple, the Gordons, and the Dead C. More interesting to me, however, were the stories about the precarious existence of an indie label proprietor trying to simply make a living in a small country where any degree of international exposure was necessary simply to keep his business afloat. If that meant traveling to Auckland or eventually London to relocate Flying Nun without knowing much about those cities or having many contacts there, so be it. Other obstacles you don’t often read about, like New Zealand police attempting to bust the label when pot was sent to them in the mail, or a London publicist who’d sell Flying Nun promos to fund his pub visits, had to be surmounted as well. It also turns out that Shepherd himself suffered alcohol problems, in part because he was a manic depressive, a condition not diagnosed until well after Flying Nun’s heyday. If I can drop in a story not in the book, even in the midst of struggling with these afflictions and financial problems that were threatening to sink the company, he found time to personally pick me up from the Auckland airport when I visited New Zealand in late 1989 and set me up with a place to stay with a couple employees. I didn’t suspect any of this stuff going on behind the scenes at the time, and my only qualifications for such hospitality were editing an alternative music magazine in the US and having been given his name by someone else who visited. This humility spilled into Flying Nun’s music and packaging as well, which is a reason it’s picked up a small but devoted overseas following. This humility is also evident in Shepherd’s memoir, which might have too many details about running an indie label or particulars about the small New Zealand scene to interest a large audience, but will be valued by Flying Nun enthusiasts for precisely those reasons. 9. 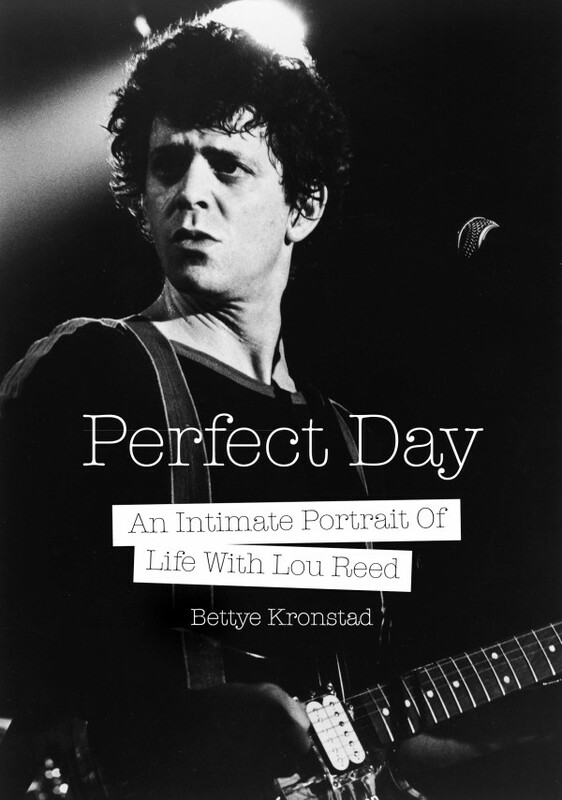 Perfect Day: An Intimate Portrait of Life with Lou Reed, by Bettye Kronstad (Jawbone Press). Bettye Kronstad was Lou Reed’s girlfriend and, briefly, wife in the early 1970s. A lot more was revealed about their relationship in the past few years when she gave her first interviews about it, but this is a full book covering her time with him. Contrary to what might be expected, when they became serious right after he left the Velvet Underground in late 1970, she found him a kind, gentle, sensitive poet. In fact, the first weekends she spent with him were at his parents’ Long Island home, where he’d moved back into when the Velvet Underground finished. Soon enough—in a pattern found in too many rock relationships—he was becoming moody, then moodier, then psychologically abusive, along with the substance abuse that often accompanies such slides. It can be a little frustrating reading Kronstad’s recollections, especially as she, as in so many dysfunctional relationships, thought endlessly of leaving but couldn’t or wouldn’t. Eventually she did, and right in the middle of a 1973 European tour. She wasn’t on the inside of as many songwriting and recording sessions as you might hope. But a day she and Lou spent together in Central Park, painstakingly re-created here, did provide the inspiration for “Perfect Day.” Some of her stormy childhood experiences also provided the basis for songs on his Berlin album, though she wasn’t exactly pleased when she realized what Reed was doing. Those passages alone might make this worthwhile for serious Reed fans. It’s unfortunate, however, that she writes (more than once) that John Cale was still in the Velvet Underground when Reed left, making one wonder how knowledgeable she was about a major portion of his career. 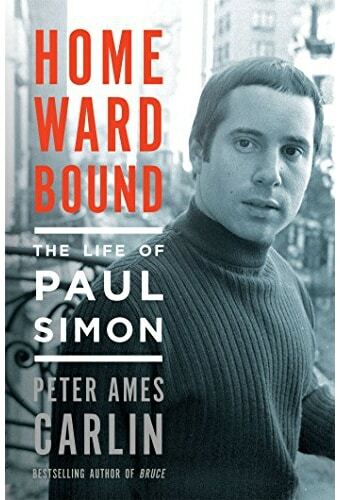 Homeward Bound: The Life of Paul Simon, by Peter Ames Carlin (Henry Holt). It’s a little surprising there’s never been a really satisfactory biography of Simon, or Simon & Garfunkel as a separate entity. This one doesn’t entirely meet my fussy standards, but is certainly the best one to date. Unlike all of the other books on Simon I’ve read, it does much to straighten out what actually happened, especially in his early years. The teen and young adult years spent bouncing among numerous different (almost universally mediocre) pop-rock discs and projects before S&G’s first LP are pretty well documented. So are, more interestingly, his extended mid-‘60s jaunts as a solo artist in England, which saw the release of his first solo album. While the details of his years as half of Simon & Garfunkel, and his subsequent solo stardom (and periodic volatile reunions with Garfunkel) are more known, these are also covered thoroughly, with plenty of actual description of the songs and recordings. Still, some more extensive new stories from associates (neither Paul nor Art were interviewed) would have been welcome. I still have the feeling that some interesting info remains to be discovered, or at least fully laid out, about his early years in particular (and to some extent his long period as a star). That’ll be harder and harder to get with each passing year, with Simon and many of the people he knew in their mid-seventies, if they’re still around. The most recent twenty years of his life are covered in a mere 25 pages (with 2016’s Stranger to Stranger meriting a mere two sentences), but let’s be honest: the skimpiness of those sections is not going to disappoint too many readers, who’ll be far more interested in what took place through Graceland. Just so it doesn’t seem like I’m singling out this book for such errors, similar ones are found in the Brian Wilson memoir reviewed elsewhere on this list, where Wilson praises Phil Spector’s productions of the Dixie Cups’ 1964 hit “Chapel of Love” and Ike & Tina Turner’s “Proud Mary.” Actually “Chapel of Love” was produced by Jerry Leiber and Mike Stoller (though Spector did co-write the song with Ellie Greenwich and Jeff Barry), and Ike & Tina Turner’s “Proud Mary” was produced by Ike Turner (Spector did produce recordings by Ike & Tina Turner, but that was about four years before they did “Proud Mary”). 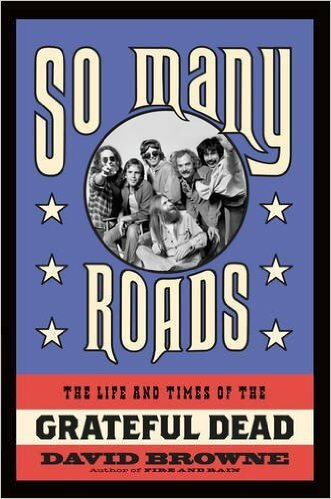 So Many Roads: The Life and Times of the Grateful Dead, by David Browne (Da Capo). This takes the approach of focusing on a key date in Grateful Dead history in every chapter, which might make this look to be a fragmentary overview at first glance. But actually that’s just a loose structure on which to hang a fairly standard biography, with the author devoting most of the text to filling in most of the essential background on the Dead. While not as through as Dennis McNally’s Grateful Dead bio A Long Strange Trip, some readers might find this career-spanning book more accessible. It draws upon quite a few first-hand interviews with the band and their many associates, though their move from a rather anarchic enterprise into a huge business, uninteresting slick records, and Jerry Garcia’s serious decline in health make the final sections pretty downbeat. The Road Is Long…The Hollies Story, by Brian Southall (Red Planet). Were the Hollies one of the most successful British Invasion bands? Absolutely, especially (but hardly exclusively) in their native UK. Were they one of the most interesting? Not really, as good as their best hits and non-45 tracks were. So their story is not as captivating as those of the Beatles, Rolling Stones, Who, Kinks, or even groups that had substantially fewer chart hits, like the Yardbirds and Small Faces. 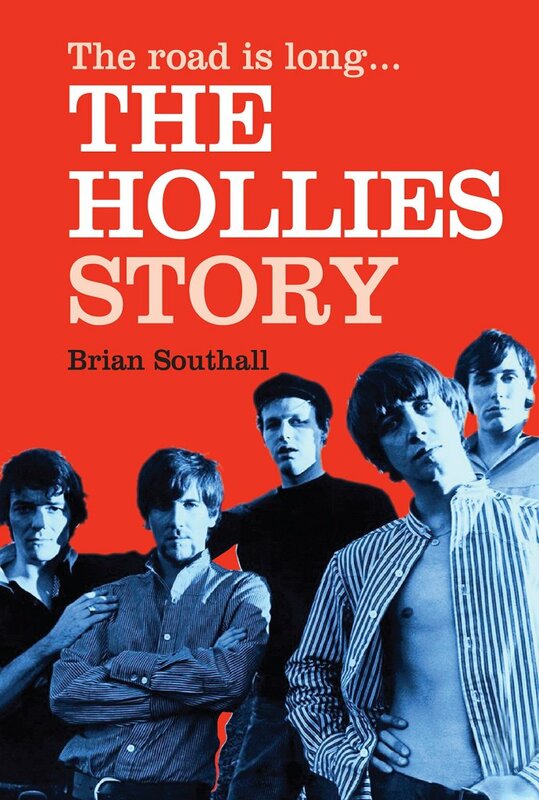 But it’s good for there to at least be one book about the Hollies, which finally arrived with this volume. The band’s career was not as nearly as dramatic as those of the other groups mentioned in this paragraph, and this is a competent rundown of their basic history, concentrating mostly on their prime ‘60s years. There are quotes from all of the principal members (though not all of them are first-hand), and the stories of their hits and tours are competently told, with some observations from some of their close associates. This doesn’t, however, have much description or analysis of their albums and, yet more disappointingly, some of their most special traits, such as Tony Hicks’s guitar playing and Bobby Elliott’s underrated drumming. It’s a good thing there are good liner notes in the box sets The Long Road Home, Clarke, Hicks & Nash Years, and 30th Anniversary Collection, which fill in some gaps not covered in this decently written but rather perfunctory biography.